Who doesn't want to fly a drone of their own? They are the hottest consumer toys today and in the news daily. Give your attendees their first drone flying experience and couple it with contest fun. Drones are simple to fly, here’s the chance for your attendees to fly them first. 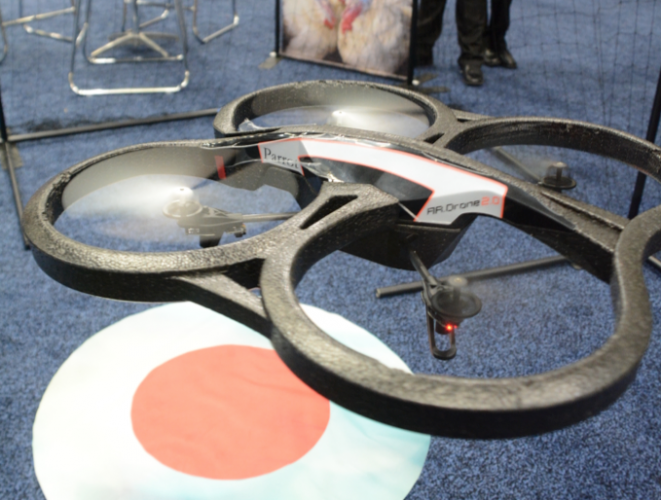 3D will produce a show floor Drone Flying Experience and contest. This includes expert teachers, drones, safety netting, obstacle course, photo ops and of course a Drone Test Pilot License for those that complete the experience. Contest Excitement - Contestants are encouraged to fly through an obstacle course and are timed. Contestants and their results go up on a digital leaderboard for bragging rights and for all to see. The fasted pilot times of their day are awarded prizes. All guests are given a branded Drone Flying License, a fun event memento to share with their colleagues. Social Amplification – Guests are encouraged to take pictures of this once in a lifetime opportunity. 3D will provide that photo op and props, complete with advertising logo. Sales Survery Capture – All contestants must answer sales qualifying questions to participate. Your sponsor creates the questions, we report them. Projected Performance - This promotion runs 98% to capacity, the average guest spends 15 minutes engaged with your brand in booth. Including t-shirts, signage and traffic cards, we estimate 120,000 ad impressions. 750 branded photos will be socially shared and viewed 150,000 times. Each branded print photo will be displayed timelessly.